Successful Environmental, Health & Safety (EHS) programs start with a foundation of a clear goal and the right team. In this eBook, we pull from behavior researchers and professional development experts to develop programming your people will embrace and implement. 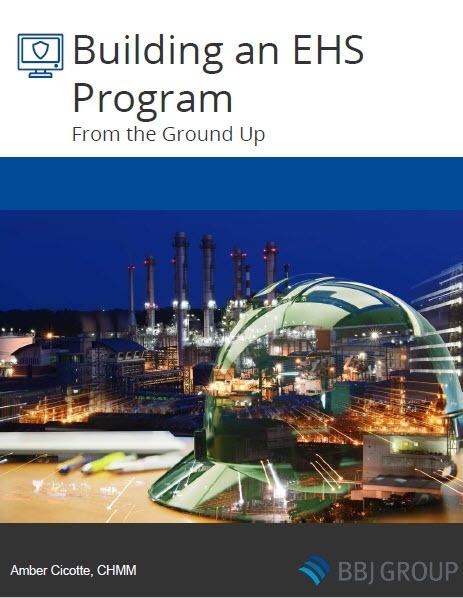 Whether you are starting fresh to design an EHS program for your facility, or just ready to hit the reset button, this eBook will help you think clearly about the WHY, WHO and WHAT of your EHS program.